The Hottest Breeder Going for More than 30 Years! For over 3 decades, Barney's Farm has won Cup after Cup on the competition circuit. Even The Rhino would have to make a dozen trips to steal 'em all. Bring home a genuine champion with authentic Barney's Farm Feminized Seeds - you'd have to rob the joint to get them for less! 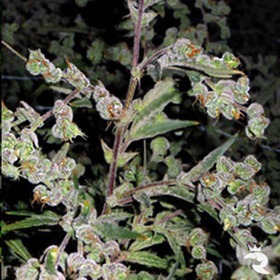 Order Genuine Barney's Farm Feminized Seeds for Less at Rhino Seeds! 100% Discreet & Guaranteed to Arrive! This is the famous Skunk #1 "Cheese" phenotype (from Big Buddha) bred with a luscious original Blueberry, this strain produces massive yields with the typical cheese aroma and taste. A Real Branch-Breaker - Up to 700 gr/m2 of Dense, Rocky Buds! Blueberry OG by Barney's Farm is an outstanding mix that lightens OG Kush's heavy flavour & smell with a fresh berry quality. The high is as strong as ever & ready to hit you on the noggin like a velvet hammer. The saving grace? A touch of mental high to keep you from sinking all the way through the couch, never to be found again. 25% THC in 8 weeks says it all! But, we’ll tell you the rest anyway! Critical Kush Feminized is a tasty mix of Critical Mass & OG Kush with a knock-out stone and phenomenal yields! Full Kush Power in <80 Days from Seed! Stacked from top to bottom in big, sticky buds, Critical Kush Auto is a real powerhouse, delivering up to 440 gr/m2 in just 80 days or less from seed - THC is 15%. The famous G13 legend lives on with this remarkable hybrid developed from the world famous G13 and our best Hawaiian sativa. It stays short considering it is a mostly sativa strain. No One Can Resist the Incredible Feminized Seeds at Barney's Farm! Every feminized seed propagated at Barney's Farm is stunningly unique and perfect in every single way! Each one is designed by actual scientists who know the ins and outs of the breeding game from textbook theory to every practical approach on the web. These seed gurus practically invented the game! Where else can you find lush cannabis seeds that are so popular they're practically household names? There's absolutely no substitute for authentic Blue Cheese or Vanilla Kush from Barney's Farm - even the names are too tempting to resist for long! Best of all, every Barney's Farm Feminized Seed you buy from Rhino Seeds comes complete with our unbeatable best-price promise, a 100% delivery guarantee and our world-class customer service. Once we stamp The Rhino's iron-clad stamp of approval on these babies, they're bullet proof! 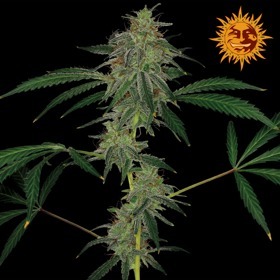 Order Your Amazingly Fresh Barney's Farm Feminized Seeds Today!